Becoming a model of excellence in one’s line of work is an aspiring goal for any evolving Brazilian Jiu-jitsu practitioner. Since its launch in 1998 Paragon Brazilian Jiu-jitsu has exhibited this concept with the production of many grappling talents such as Jeff Glover and Bill Cooper. Expanding its club’s movement to the southern region of the United States, Paragon Austin continues this endless trail in becoming one of the best BJJ schools in the Lone Star State. Starting in 2011 by Robert Dembeck and Darrin Lillian these two founders quickly organized a plan to mold itself into its own brand of excellence. With its later assemblage of elite black belt instructors to assist with the enchantment of the program top quality training and instruction was not hard to come by for any student training at Paragon Austin. The dedication each instructor puts into their work is above and beyond the standards of your typical BJJ instructor which creates a unique diversity of knowledge gained from the participant walking out of each class. Starting his instructor position early this year David Ginsberg black belt Mike Harmon brings over a decade of experience that any students will benefit from. Not only has his assistance proven to be a great aid for the students at Paragon Austin but also for himself which has allowed Harmon to achieve major success as a competitor which includes becoming a brown belt no-gi world champion in late 2012 . Alongside Harmon is fellow co-instructor Jeff Rockwell. A black belt under Antonio Passos/Ricardo De La Riva, Rockwell brings over 17 years of martial arts experience to the Paragon Austin program. Offering a fun dynamic spark to his grappling sessions Rockwell has a great perspective toward teaching jiu-jitsu with his integrated combination of advanced techniques mixed with a simplified approach in which any student will be able to grasp. “I enjoy coaching the young gun athlete competitors who make everything look easy and are striving to make their mark in the world; I also really enjoy coaching the non-athletic, non-competitor types who have turned to jiu-jitsu to gain confidence, and watching them transform from timid wall-flowers into smooth, coordinated, tough practitioners who are a threat to anyone they step on the mat with.” Rockwell said. In just a short two year time span Paragon Austin has already cemented itself as the premier academy in the south. With its top quality instruction, dedicated teaching staff, and fleet of students achieving success as BJJ athletes it has proven to be a standout school that is committed to reaching excellence in improving as team and producing great martial artists capable of tackling the many challenges on and off the mat. Whether it’s learning to defend yourself, building self-confidence, or training to become the next BJJ world champion it is the growing hub that is capable of assisting anyone with accomplishing their goals. These factors, amongst other variables make it a gym on of its kind. 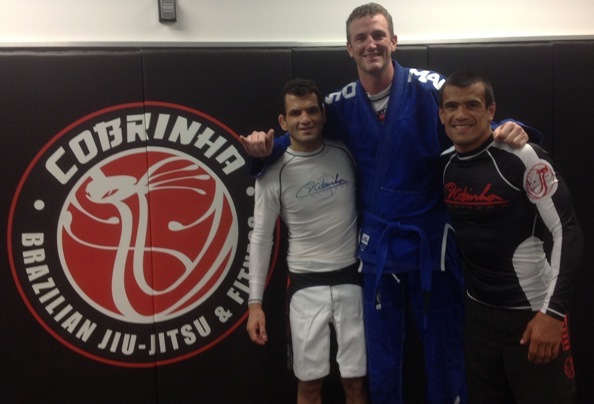 Paragon Brazilian Jiu-Jitsu is located in the heart of South Austin at the intersection of Wm. Cannon Dr, and Westgate Blvd.